The Cohen case showcases Special Counsel Robert Mueller’s desperation. And who could blame Mueller for being desperate. The fate of the Democratic Party lies in the hands of the man I call, “the fixer”. After almost two years in his attempt to frame Trump, Mueller came up empty. So he found a snowflake to coerce, namely Trump’s former attorney Michael Cohen. 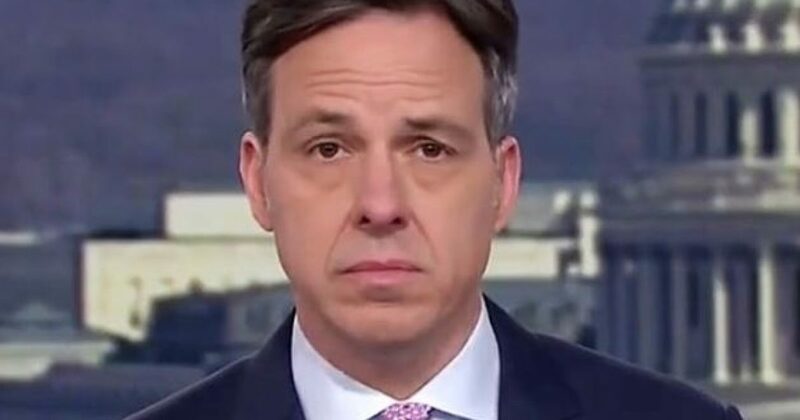 But even CNN smells a rat in the Cohen plea deal. A businessman in the business of building buildings. That’s who Trump was, and that’s what Trump may have wanted to do. But it’s not corrupt. But if the Democrats want to believe they can sell this nonsense to the public, they will be sadly mistaken. One would think CNN learned its lesson? Perhaps. Tapper got Nadler to admit that there was no criminal corruption in the allegations only one of moral corruption. And don’t expect President Trump to let up on Mueller. Trump has Mueller in his sights. And for Trump, Mueller represents the Democrats who invested heavily in the Mueller farce. So while Trump may very well possess the nuclear option of exposing all the dirty laundry, he seems content to let things play out for Mueller with Cohen. Nevertheless, when fake news CNN begins questioning the veracity of Democrat narratives, Democrats know the writing is on the wall. Expect the Cohen case to fall apart soon. But what looms for Democrats? In figuring out what Sean Hannity claims will break Monday on the Clintons has my head spinning. Given the number of crimes this family committed, who knows what will break? Will it be related to the Russia farce? Or will it involve the family’s crooked “charity”? Perhaps someone uncovered one of the bodies of the people who fell victim to the Clintons? My hope is that body would have Bill’s, Hillary’s, and Chelsea’s DNA. Also, add their DC driver’s licenses just to be sure we get the bastards. Other possibilities include Benghazi, cheating Bernie Sanders, and of course colluding with the Obama administration to dump Trump. Here’s how Hannity and a couple of insiders reported what’s supposedly going to happen. Again, according to Hannity, we won’t have long to wait.